For the first 6 months, I didn’t have nor use many socks for Jarvis. It was warm out and when we did use them, they would never get dirty. Now that it’s winter and he’s on his feet a lot (learning to stand), we use socks every day. With all kinds of socks available, baby is warm and mommy has fun accessorizing. Here he is wearing a cute pair of socks by MyLove Gear, a Toronto-based company founded by parents Keteh and Zeze. Check out their fun infant/toddler collection here. Want a free pair? Who wouldn’t?! Fill out the form to enter the contest. The kind founders of MyLove Gear are giving socks to ten (10) lucky readers. Value up to $12.90CDN. Winners will be selected at random. Contest ends November 29, 2014 at 11:59PM ET. Open to Canadians only. Note: Your name and email will not be used for any purpose other than for this giveaway. I promise. 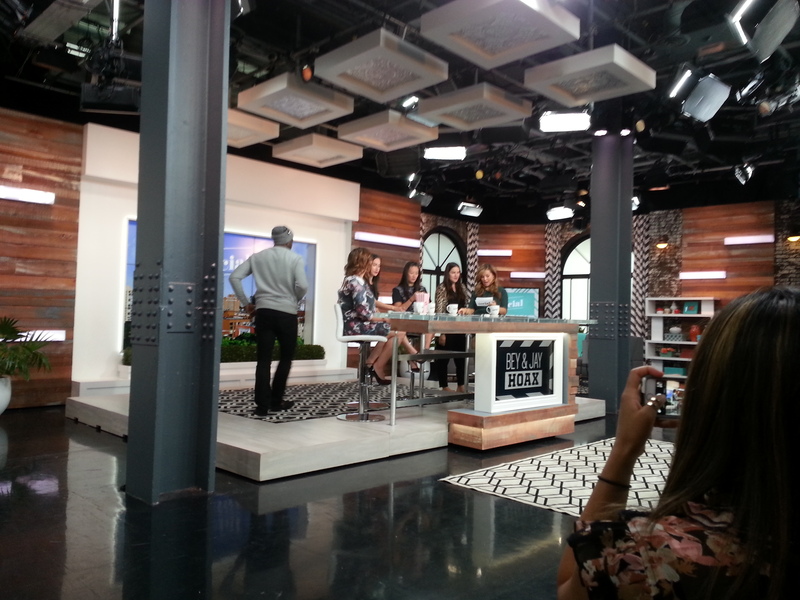 I’ve been lucky to be able to leave the baby at home to attend tapings of The Social, The Marilyn Denis Show and Cityline. Getting tickets to these daytime shows is as simple as filling out an online form. They asked us to get there at 12:00 for the 1:00 live show. 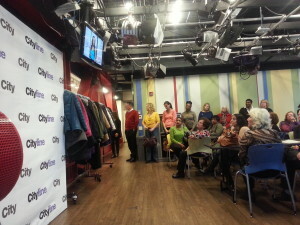 So, we get there at noon and line up outside CTV Studios on Queen St. and are let in to wait in the audience standing room, where there was coat check, music playing, and mirrors for some final touchups. The audience coordinator greets the audience and we “practice” how we should cheer and laugh. It was like a cheerleading session. We’re called by name and let into the studio at 12:50, and there’s more cheering practice and final instructions. They encouraged us to tweet, take photos and post during the show. Being at the show was obviously different than watching it on TV; it was hard to hear the hosts and sometimes difficult to see around the cameras. I felt like I couldn’t really immerse myself with the content. During commercial breaks, the audience coordinator had little contests like “whoever shows me the strangest thing in her purse, wins a prize.” After the show, a few of the hosts stuck around and took photos with everyone. After the photo op and picking up our gift, we were out of the building by 2:15. Topics: They talked about the Brangelina wedding, workouts and handbags. It was light and enjoyable. We arrived at the studio at 9:00 for the 10:00 live show. 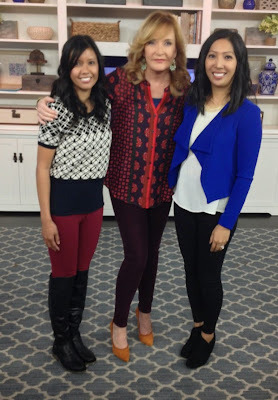 The Marilyn Denis Show is filmed at the same studio as The Social and it was the same audience co-ordinator, so the pre-show experience was exactly the same. During commercial breaks, we played the same contest as we did at The Social filming. (I should have expected this and carried something strange in my purse, but I had nothing.) After the show, we took photos with Marilyn, picked up our gifts and were out of the building by 11:15. Topics: Decorating small living spaces. I wasn’t particularly interested in the topic, but there were a few decorating tips I picked up. They asked us to arrive at 9:30. It isn’t a live show, but I assume filming normally starts around 10:00. (They film one week in advance.) We’re let into the audience room where there are tables and chairs. The audience coordinator introduces herself and plays a video of the host, Tracy Moore, explaining the process. They were running behind that day because part of the set didn’t arrive yet so instead of waiting around, Tracy joined us in the audience room and took photos with everyone. Once the set was ready, we were brought into the studio and were seated row by row. Even though the show wasn’t live, there were still commercial breaks. During these breaks, they would blast music and the audience coordinator would get everyone in the mood to dance. It was like a dance party. The speakers in the studio were loud and clear, so we were able to hear the show perfectly. This definitely helped me get into the show, compared to The Social and The Marilyn Denis Show where it was sometimes a struggle to know what the hosts were saying. After the show, we picked up our gifts and we were out by 11:50. Topics: Cooking, festive entertaining, home decor. I don’t do a lot of cooking, festive entertaining or decorating, but I still really enjoyed the show and I think it’s because of the host. She kept things light and fun. 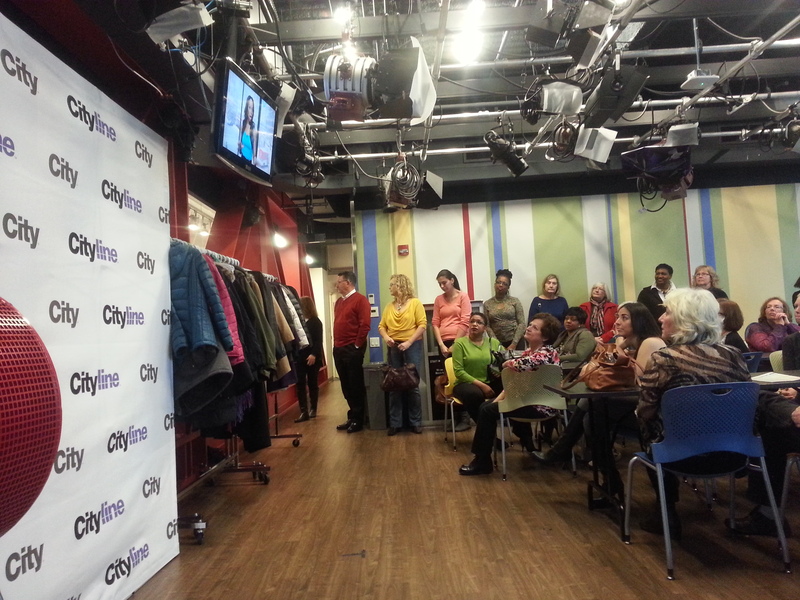 Overall, I enjoy watching The Social on TV, but I had the best experience at Cityline. It was fun and natural; I didn’t feel like I had to be “on” and overly cheerful, as I felt at the other shows.